America’s sensible majority does it actually exist? 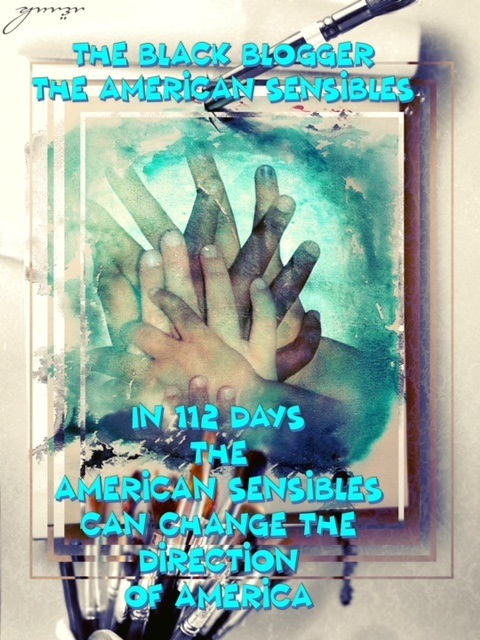 Well, America’s sensible majority has the opportunity in 112 days to silence the vocal minority that is driving this nation backward lead by Donald Trump and a do-nothing legislative branch of Congress and Senate headed by Republican Party congressman and senators. If the sensible majority can wake up on Tuesday, November 6, 2018, they actually stifle completely the Presidency of one Donald Trump. All it will take is a concerted effort to move the majority leadership that exists in the legislative branch from the current Republican Party to the Democratic Party. Now that doesn’t mean that automatically the nation’s sensibles will be rid of the Trump presidency. It does mean however that the opportunity will exist immediately upon the swearing in of this new Congress to lame-duck this current Trump administration. The check and balance system defined in America’s constitution will put the immediate breaks on an executive branch of government gone absolutely batty. We know that America’s sensibles are outnumbered in the southern states where Trump powers his supporters with his insane actions to the point of delirium. However, if only the sensible voters in the other regions of America come out for the mid-term elections. The silence we hear on January 3, 2019, will be emanating from 1600 Pennsylvania Avenue because now Trump’s charge will be defeated by the rallying cry stirred by America’s sensibles. We can truly start the Trump countdown which will mean that if any of the nation’s business or the people’s business is to be done. It must be done in a conciliatory mode between the executive and legislative branches of our government. It will also mean that no illegitimate jurist will be nominated to the supposed people’s court masked in sheep’s clothing by speaking solely for the most advantaged of our nation. It will mean an end to the unwrapping of the Obama legislative successes by a do-nothing Congress and a seemingly vengeful President. A President who is purely focused on wiping out eight years of Obama achievements without offering any meaningful programs that engage progress for the American people. So can the sensible majority sit home in 112 days and say that their vote doesn’t make a difference? Not this mid-term because the sensibles in the following states can truly turn the direction of this nation totally around. They can choose to elect individuals swore to do the people’s work; not the big money work of those who will sacrifice nothing to gain everything economically. So all you sensible Americans residing in the following states unite Iowa, Maryland, Wisconsin, Michigan, New Jersey, Pennsylvania, New Mexico, Minnesota, South Dakota, North Dakota, Colorado, Florida, Virginia, West Virginia, Nevada, Indiana, Maine, and New Hampshire unite with the sensible American voters in California, New York, Massachusetts, Illinois, Delaware, Ohio. If this united effort of sensibility in a truly people’s movement is successful on November 6, 2018. We can close the door on the current calamity that America has faced since January 20, 2017. We don’t have to impeach Trump. All the sensible Americans have to do is come out and vote and put Trump in check as the founding fathers intended when this nation is faced with a scoundrel of the first order. Let Trump and his supporters play checkers while the American sensibles put this misplaced self-styled monarch Trump in checkmate by using a document he surely has read. Remember this fact the American sensibles come in all shades, religious backgrounds, educational backgrounds and economic backgrounds. The only requirement is having a mental state of sensibility.